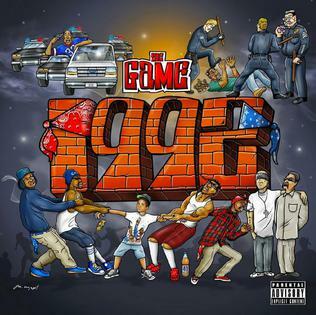 For many, the West Coast MC Game is one of the more underrated artists of our time. 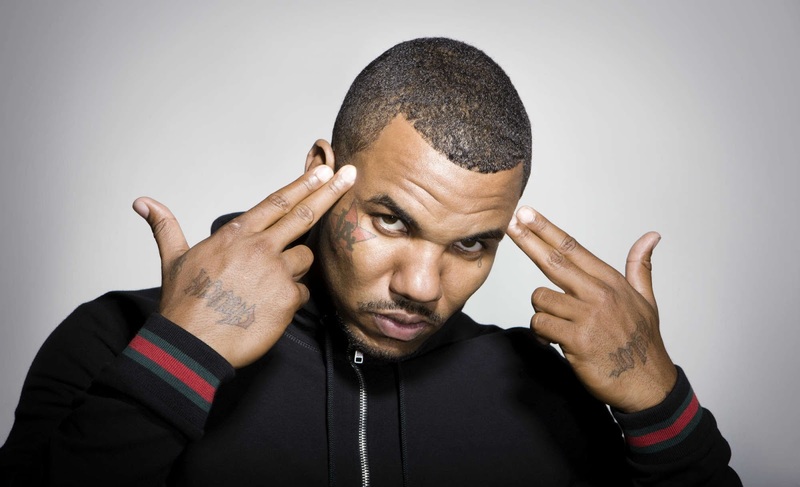 Since his arrival to the mainstream in the early-mid 2000s courtesy of 50 Cent and Dr. Dre, Game has remained a mainstay in hip hop culture. His catalog is seen by many as one of the more underrated in the genre, and today, that's what we are here to discuss. Keep in mind, this discography check will NOT include his work with JT The Bigga Figga or the miscellaneous projects that aren't "official". With that out of the way, we look to answer a few questions. Does Game have a top tier catalog? Does he have multiple classic albums? Let's take a look at Game's discography. -His official debut, released on G-Unit/Aftermath is one of my favorite albums of that year. Game had the privilege of utilizing the hook writing skills of 50 Cent, as well as the executive producing genius of Dre to his advantage, and with their assistance, his first album was essentially a classic. There was substance, balancing tracks for the ladies with West Coast street anthems, and soulful hip hop. The features on this album are top notch, and unbelievable for a debut, as 50, Eminem, Busta Rhymes, Mary J. Blige, Faith Evans, and Nate Dogg all assisted the Compton rapper. 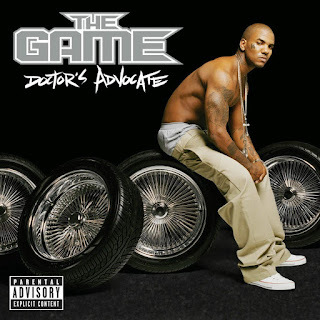 Production wise, it's almost as if Game gathered the biggest names and worked with an All Star producer cast, as Dre, Hi-Tek, Scott Storch, Just Blaze, Buckwild, Havoc, Kanye West, Cool and Dre, and Timbaland all would contribute to the sound of this album. In many ways, The Documentary was set up to be a hip hop classic, and to most, it is. Songs like "Hate It or Love It", "Start From Scratch", "Westside Story", and "Dreams" all showcased the talent of the rising star. 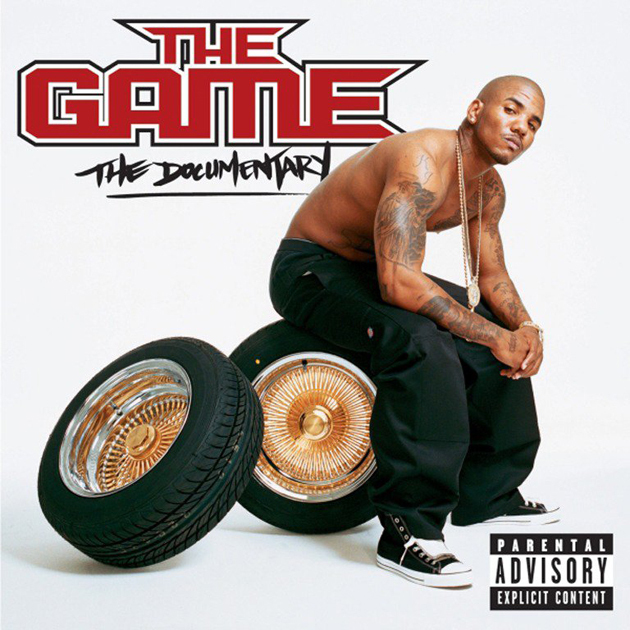 I'd still consider the Documentary the best, or the 2nd best album from Game at the very least for sure. -This is honestly one of my favorite albums in his catalog and with good reason. 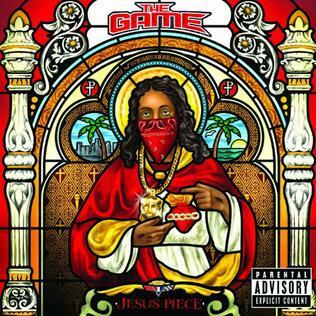 This album sees Game all alone, on his own, without G-Unit, without 50, without Dre, and he finds his own identity for the most part on this album. Still, you can hear traces of 50 and an enormous trace of Dre all throughout the album, as evidenced by the title. However, there's no actual Dre contribution, no Dr. Dre assistance, but Game keeps the sound consistent with West Coast production vibes from DJ Khalil, Will I. Am, Scott Storch, Jelly Roll, and J.R. Rotem, while getting more lush sounds from Kanye West, Hi-Tek, and Just Blaze. The album has solid hits in "One Blood", "Wouldn't Get Far", a missed potential single in the Jamie Foxx featured "Around The World", but I'd be lying if I didn't admit the strongest songs are when Game gets honest and talks from the soul on tracks like "One Night", "Ol' English", and "Why You Hate The Game". 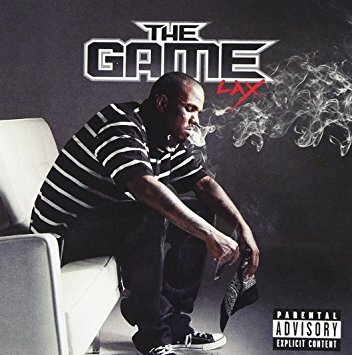 Overall, this album is cohesive and should be considered a huge win for Game, considering he was kicked out of G-Unit, beefed with 50, Jay, and others in the fallout since his debut and still knocked out a great album that saw success. -If I had to pick a Game album that was my least favorite, this would probably be the one (or my 2nd least favorite). It's not that the album is bad necessarily, but it's a step down from the standard his first two set. It has a lot of great features, as we have come to expect from Game albums, but it's very flawed in the important areas, like cohesion and sequencing. 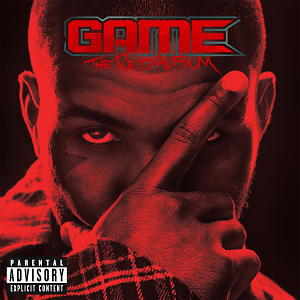 Game never seems to slack lyrically, but this album feels a bit lifeless. Still, the features from Ice Cube, Bilal, Raekwon, Lil Wayne, Common, Ludacris, DMX, and Nas don't disappoint, but the album could have benefited from a smaller tracklist (19 songs on the regular edition, 23 on the deluxe edition). Production wise, he utilizes Hi-Tek, Kanye West, J.R. Rotem, Nottz, Cool and Dre and more, all producers who worked on his previous albums to keep that vibe intact. It works on songs like the Common assisted "Angel", the Nas assisted "Letter To The King", and the Bilal assisted "Cali Sunshine", but there are one too many misses on this album. It's a solid listen, but cutting out the filler would have worked wonders. -This was a plain attempt to revive what he might have lost on the previous album, but much like LAX, this album is uneven and misses more than it should. Pharrell and Dr. Dre serve as executive producers on the album, and you'd think that would help it, but from the beginning, there's something missing. The Dr. Dre intro is a nice touch, and the opening track featuring Kendrick Lamar "The City" is great, but after that, we begin an up and down ride quality wise. The features from Lil Wayne here are hit or miss, the Drake assisted "Good Girls Go Bad" is disappointing, and the single "Pot Of Gold" with Chris Brown leaves us a bit unsatisfied as listeners. However, when Game keeps it simple, as usual, he shines. Tracks like the Rick Ross and Beanie Sigel assisted "Heavy Artillery", the DJ Khalil produced "Ricky", and the DJ Premier "Born In The Trap" all work well, but this album has the same issue as LAX: too much filler. Cutting off about 7 to 8 of these tracks would make this a much more enjoyable album. This is as middle of the road as a Game album can be. -I have mixed feelings on the album. 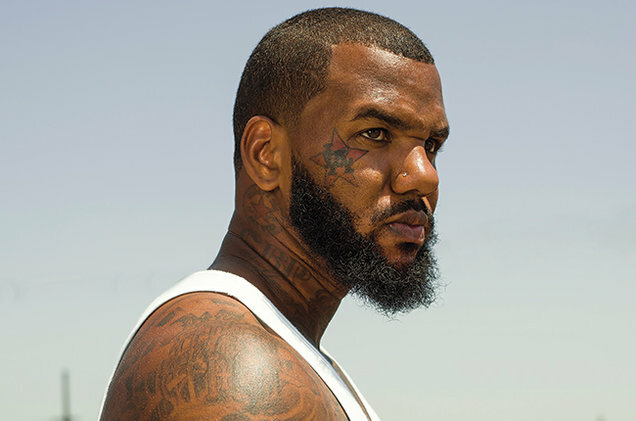 It's hard, with the right production, and the aggressive lyrics, but Game continues his trend of adhering to the style and flow of his guests rather than bring them into his. Still, it's an enjoyable listen, but feels more like a "Game and Friends" compilation album than a Game solo. With features from artists like Rick Ross, 2 Chainz, Meek Mill, J. Cole, Kanye West, Common, Trey Songz, Lil Wayne, Big Sean, Fabolous, Pusha T, Kendrick Lamar, and even more, this is honestly like the Hip Hop All Star Game. With a shorter tracklist than his previous two, there's not much filler to complain about, my only issue is that there's not enough Game on this album. There's only a few solo songs, and even those have features on the hook, making this album a fun listen as a compilation, but it was a bit lackluster as a solo album. Still, who could deny "Name Me King", "Celebration", the title track, "Ali Bomaye", and other anthems that he created? This is a solid album, better than his previous two, but not matching his first two. -This is one of those albums that is similar to Jesus Piece, as it feels like a compilation as well (and it appears to be labeled as such). It has features from Ty Dolla Sign, Lil Wayne, Chris Brown, T.I., Yo Gotti, French Montana, and many more, but thanks to a smaller tracklist, it doesn't get boring. It's not the best work Game has been a part of, and it's not the worst, it's essentially right there in the middle of his catalog. I'd suggest giving it a listen at least once if you haven't yet. -The sequel to his legendary debut came over 10 years after the release of the original. 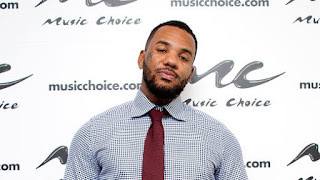 Game went back to get producers like Kanye, Cool and Dre, DJ Premier, and others who he had worked with earlier in his career and stacked the lineup for production. He surprisingly has Stat Quo of all people help to executive produce the album, and it's an enjoyable listen overall, but not as good as the original. It's rare a sequel is better than the first, and this is no exception. 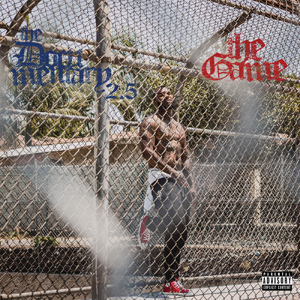 While he had a hit with the Drake assisted "100", and a West Coast legend fest with the Dr. Dre and Ice Cube assisted "Don't Trip", Game doesn't keep the cohesion and consistency long enough during the tracklist to make this a great album. I'd consider this project to be just below the first two albums and right below Jesus Piece, but there's still some dope music to listen to here, even if it doesn't flow as well sequencing wise. -In what is an interesting contrast, 2.5 is much better than 2. 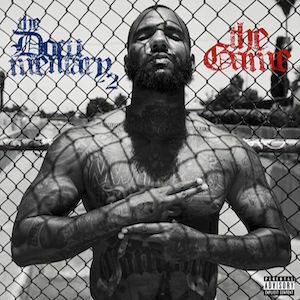 Game gives us more of a gangsta rap perspective here than he does on 2, and his rhymes are even better here. 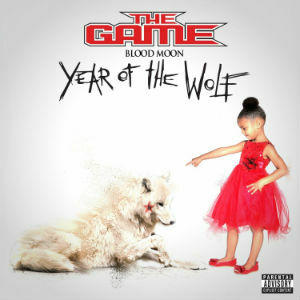 The production is more gritty and the instrumentation is much better, and the features are even more hip hop centered. With Anderson Paak, Nas, Jay Rock, Schoolboy Q, Scarface, a focused Lil Wayne, DJ Quik, and more featured, there's a comfort level that Game finds on this album. This album is good enough to compete with his first two, but I think it rests comfortably at the 3rd spot in his discography. From the production to the songs to the lyrics, everything about 2.5 exceeds 2, and elevates it in his catalog. -The last album that Game has officially released is actually pretty dope and has minimal features, taking heed to criticism he's received his career and spitting in the face of it. It's a solid listen, but I'd only have one complaint and that's the uneven production, but otherwise, this album is a really good project. It's got an older sound in some aspects, but also feels current, a perfect blend that fits right with Game. I think 1992 is right there under The Documentary 2.5, and competing with Jesus Piece for that 4th spot, which is not a bad place to be in terms of catalog. With one final Game album reportedly coming, I wonder what he has up his sleeve for the last chapter of his career. Only time will tell. "I Grew Up On Wu-Tang"